As the temperatures begin to drop and shades of yellow, red and orange emerge in the vineyard, we are taking a deep breath and celebrating the end of harvest. The long days and nights of hand sorting, crushing and pressing are over. Soon, each of our wines will be resting comfortably in premium oak barrels, where they can age to perfection. Already, even in their infant state, 2012 is promising to be a beautiful vintage across the board. This year, our crew crushed more of all your favorites from our current lineup: Viognier, Cabernet Sauvignon, Grenache, Payaso, Syrah and Barbera, along with the first small yield of fruit from our new Chardonnay and Sagrantino vines, grafted this past Spring. With spectacular views in every direction on the vineyard, grapes that are a winemaker’s dream, and wonderful responses from visitors to our tasting room, Villa Vallecito Vineyards owner Ghee Hagedorn says, "The Lord has really blessed this land, the fruit and the tasting room". And what good would such blessings be without sharing them? We hope that you'll stop in and see us at our tasting room the next time you're in Murphys, or will consider joining us on the vineyard for our next event. We have enjoyed getting to know so many of you at Tapas on the Terraza and at our Wine Member Gala. Or, if coming in to see us isn't an option, like us on Facebook, or follow us on Twitter or Pinterest, we'd love to hear from you! And don't forget to bookmark our website: VillaVallecitoVineyards.com, where you can learn more about our history and staff, book a stay on our vineyard, read our blog and discover all of the benefits of joining "La Familia", our wine club. You can also order online, if you've got a craving for your favorite Villa Vallecito Vineyards wine and you're not able to make it in to Murphys. Barbera lovers, don't fret when you see that we're out of stock. 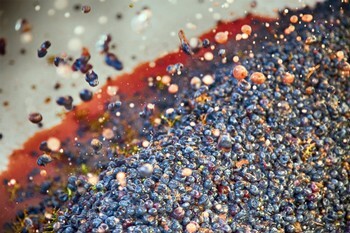 Now that harvest is over, we will focus our efforts on a second round of bottling for our 2010 Barbera Reserve. If all goes well and "bottle shock" is minimal, you can look forward to enjoying this phenomenal wine again in February, 2013. Since opening our tasting room doors in June, we have truly enjoyed sharing our wines with all of you. We have put so much love, care and attention into each one, from the time the first grape leaves sprouted on the vines to the moment we poured them into your glass. Thank you for joining us on this wonderful adventure, and for taking part in our passion for big, bold, beautiful California wines! 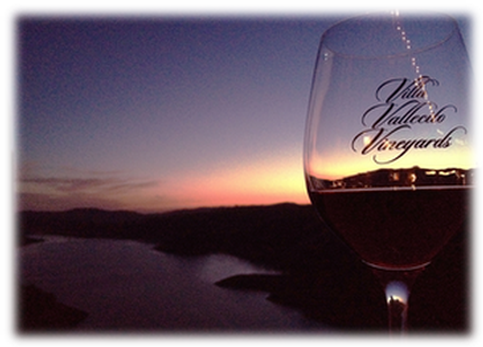 Until we meet again, from all of us at Villa Vallecito Vineyards, Salud! For many years, Villa Vallecito Vineyards was just that - 12 acres of Vineyards surrounding the Vallecito home of Ghee and Alan Hagedorn. 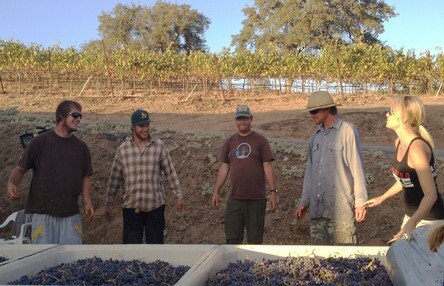 In 2008, after tending the vineyards for 7 years and selling the grapes to wineries throughout the Sierra Foothills, Ghee and Alan decided to ask winemaker Nathan Vader to custom crush a few cases of Barbera for their personal enjoyment. The result was our amazing 2008 Barbera, which was awarded a Bronze medal at the San Francisco Chronicle Wine Competition in 2011. Receiving such an accolade on the first and only wine Villa Vallecito Vineyards ever produced led to a major decision: Villa Vallecito Vineyards would become a Winery. 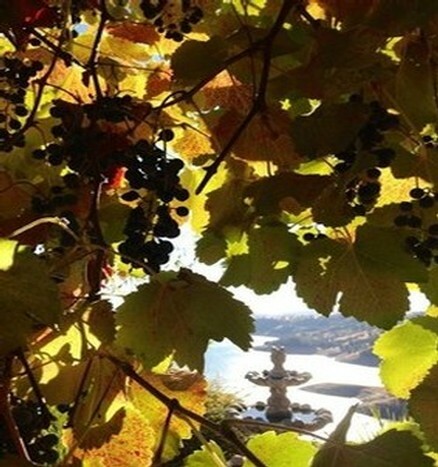 And so, in the fall of 2010, Villa Vallecito Vineyards harvested their grapes as usual, this time keeping much of the fruit to make their own wine, rather than selling it all to other wineries. 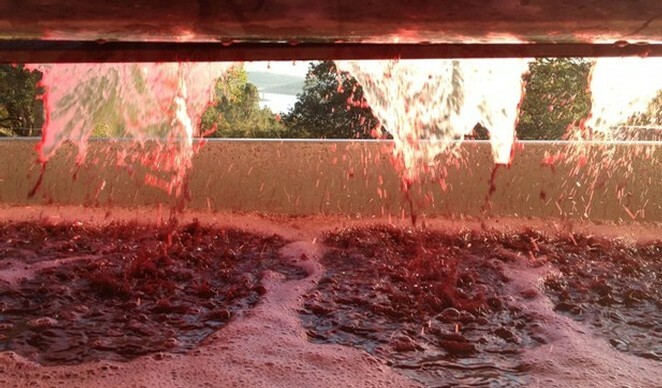 Viognier, Cabernet Sauvignon, Barbera, Grenache and Syrah all made their way to the winery where they began the process to become the stellar wines they are today.